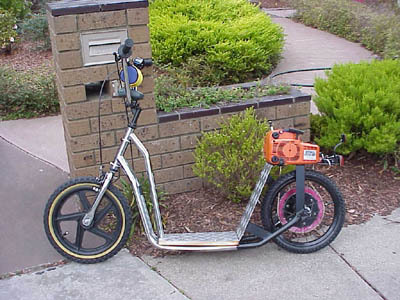 i hope u like my scooter. 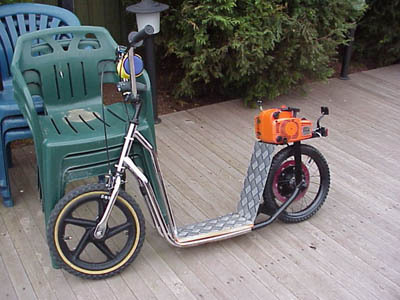 The scooter took 2 weeks to complete because of the mods we had to do to the motor and the scooter frame. 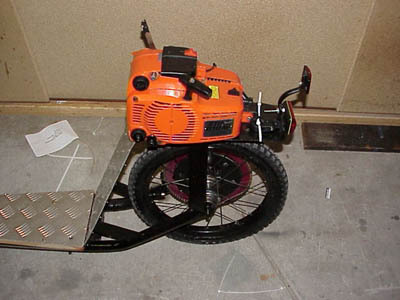 Also had probs with the rear wheel because of the bearings being worn out or wrecked, it wobbled a lot so we used some washers and tightened them up to the wheel to make it more stable. 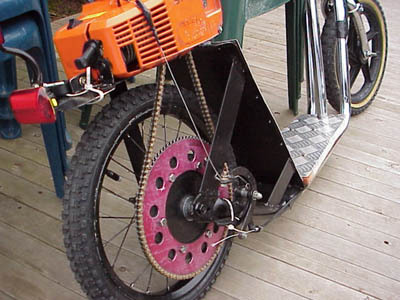 The fuel tank is about 350ml, and on a full tank it runs for about 10km at an average speed of 42km/h. 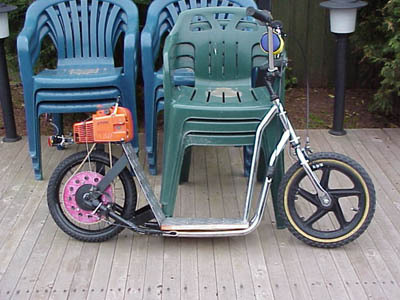 Only have front brakes on it for now, hopefully will get a disk brake at the back wheel. 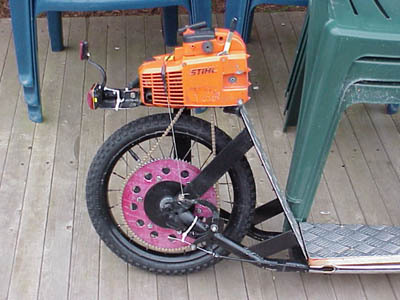 Stihl Chainsaw 2 stroke, 36.6cc, 1.6 - 2.0 horsepower, 1.5 kWh @ 7500rpm, fuel ratio 25:1, $250 from Cash Converters. Wheel size 16" plastic front alloy rear. 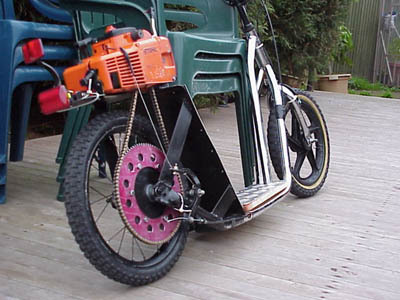 Drive type chain, Motor sprocket 9 tooth, Rear wheel sprocket 89 tooth, Drive ratio 9.8:1, All Go Kart chain and sprockets. Top speed 61km/h, on the grass does 32km/h with a 100m straight.